Regain your freedom while reducing the dependence on your loved ones. With a lift from Vancouver Island Medical Supply, stairs are no longer a barrier. Your garden, and indeed the world, will be accessible once again. “I’m no longer housebound. It allowed me to regain my independence and freedom. Now I can go to senior centres, concerts, and church independently.” C.B. 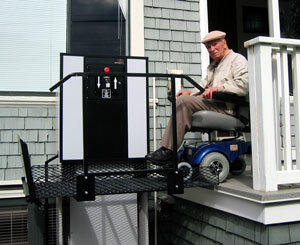 Many clients find that a porch lift is the best accessibility solution. 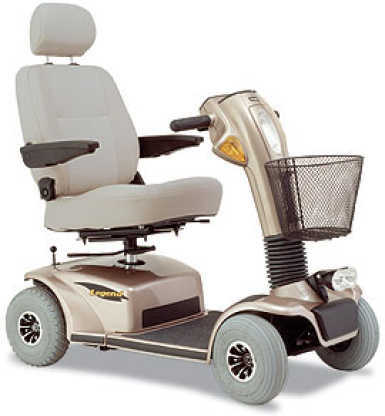 These lifts require limited space and can often be used independently by a most people with limited mobility. The most common lifts are 45 to 52 inches high, although taller lifts are also available. How high a lift do I need? What type of prep work will I need to do before installing a porch lift? Typically this will include getting a base ready and having some electrical work done. What type of base do I need under the lift? If a concrete pad is required, this may need to be done in the spring or summer. What safety features are available on this lift? How well does this lift work in cold/wet weather? What ongoing preventative maintenance do you recommend for this lift?